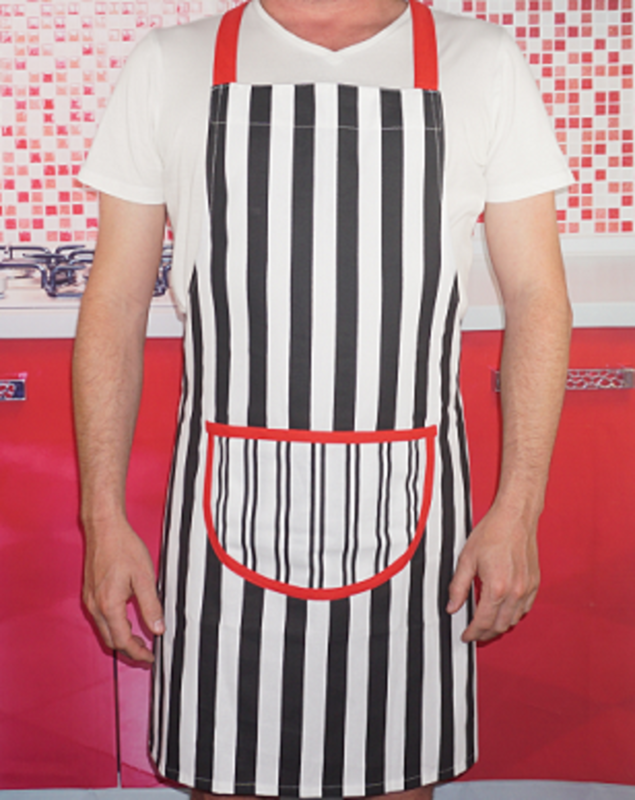 Our Tobey Apron has been designed for the stylish Man that likes a classic cut black and white stripe with a trim red feature. 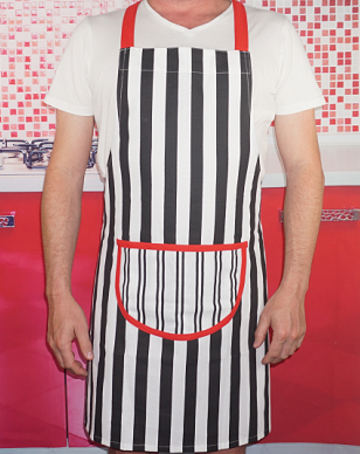 Our Men's Apron / Dad's Apron ties at the waist and neck and features a large pocket. There is a matching Boy's Apron available and also under our family aprons section (we have Women and Girls Aprons that compliment this Apron).